To the untrained eye, the development of a spigelian hernia can be unnoticeable. Usually, it is only when the condition worsens a person can tell that there is something wrong. Therefore, it is crucial that those who have any of the risk factors for potentially developing this problem know more about it. The following is a detailed summary of the most important aspects of this condition. 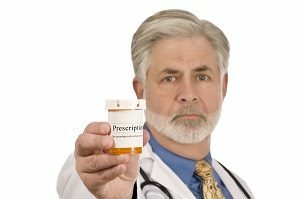 However, it is not meant to be a substitute for proper medical advice from a licensed physician. 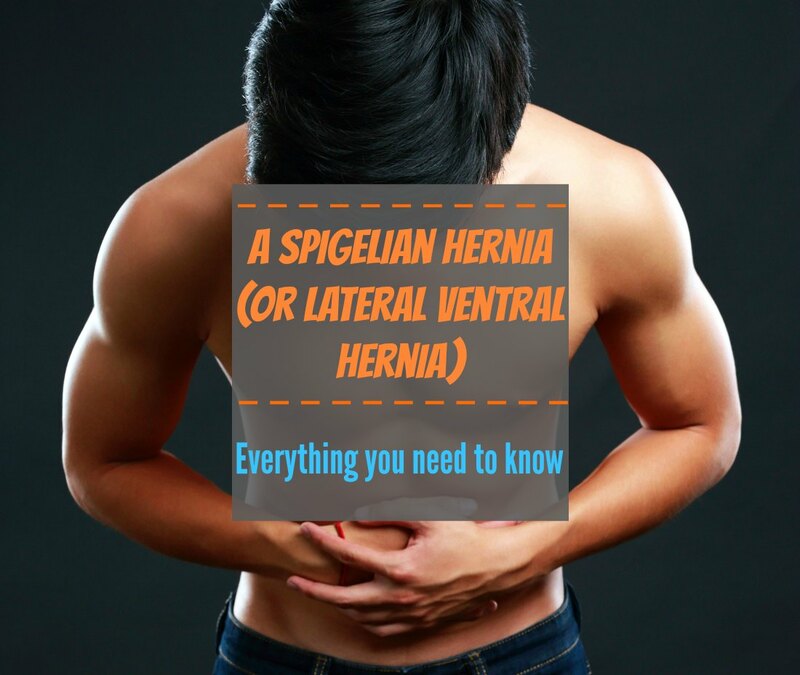 Those who aren’t sure whether or not they have a spigelian hernia should always make an appointment with their doctor first instead of trying to diagnose it themselves. A hernia is an opening in the tissue of the body, which causes a bulge from the organs that are protruding through it. Most hernias develop underneath the subcutaneous layer of fat that acts as protective insulation over the organs. There are also hernias that stem from the umbilical region, which cause the naval to protrude outwards. This is common for women who are pregnant. Other types of hernias can develop in the groin area. This type of hernia is rare because the abdominal muscles are strong, and they can easily support the tissue and organs underneath them. And it is difficult for them to tear enough for a hernia to happen. So a small opening in them often results in the strangulation of the intestines, since spigelian hernias happen the most commonly in the lower abdomen where the intestines lie. Because of this, it is considered to be one of the most dangerous types of hernias to have. The risk of developing them lessens after the age of 70-years-old. But this is mainly due to the decrease in activity that people of this age group experience on a daily basis. There are always exceptions though. And some senior citizens who stay fit until they are 80-years-old could potentially have them too. Women who are overweight get them more often than overweight men do. This is partly because they have weakened muscle tissue that can be damaged more easily though. Those women who have had children have an even higher risk of developing this condition because the abdominal muscles naturally separate some during pregnancy to allow for the growth of the fetus. And the more children that a woman has, the more damaged and weak that the abdominal muscles usually become. Of course, with exercise, this muscle weakness can often be reversed, which decreases their risk of a spigelian hernia developing. They also tend to happen very quickly. However, with a spigelian hernia, the main symptom that most people notice is a pain. It will start out as mild discomfort in the region, which consistently worsens over time. Only when the tear through the abdominal muscles has worsened can a person see the outward appearance of it through the skin. Unfortunately, this is also the stage when there is an increase in the risk of strangulation occurring. That means, the intestines become pinched inside the open muscle tissue. So stools can’t pass through anymore. And this results in an obstruction of the bowels, which significantly increases the pain that someone has with the condition. Sometimes, it isn’t until a person gets treatment for the bowel obstruction that they even know that they have a spigelian hernia. 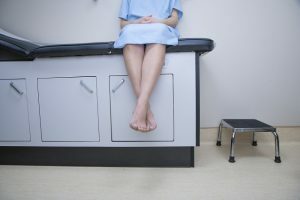 That is why doctors often emphasize the need for patients to always make an appointment with them if they haven’t been able to pass stools for more than three days in a row. Beside the obstruction of the bowels, the flow of blood and oxygen to the area is also reduced during intestinal strangulation. And this can cause the skin of the area to take on a mottled appearance. This refers to the grayish, bruised look that skin lacking oxygen-enriched blood has. In severe cases, a bowel obstruction can even cause a person to faint. So weakness and difficulty standing should also be listed as serious symptoms of this condition. Sometimes, doctors take on a “wait and see” approach to hernias that are not posing any serious problems. A test is done where the doctor presses on the hernia to determine whether or not it can be pushed back underneath the muscle tissue. If it can be, then it isn’t usually strangulated. An elastic harness might be offered as a temporary method of holding the hernia in place. This harness resembles a support girdle that fits snugly over the region. It has to be worn at all times to be effective. Only when someone is taking a shower can they remove it. A person shouldn’t try to use any kind of homemade elastic band on their own though because it could apply inconsistent pressure that could damage the intestines. As soon as there is any sign that the condition has worsened, then surgery has to be done. (6) A small incision is made through the skin above the torn muscle tissue, which allows a surgeon to suture the muscles back together again. If the opening is too large, then a piece of surgical mesh might be stitched over the site to prevent the intestines from bursting through again. However, the surgical mesh poses its own problems because it increases the post-surgery pain that a patient endures. And it also tends to become detached and migrate to other regions, which damages blood vessels and delicate tissue. Sometimes, people experience internal bleeding and serious infections from the damage that it causes. So doctors only resort to using the mesh when they have no other options available for treating a hernia. What Should Someone Do if They Think They Have This Condition? Anyone who thinks that they might have a hernia should make an appointment to see a doctor right away! This isn’t a condition that will go away on its own! And there are no over-the-counter medications that can help. In fact, they might even make the problem worse, especially fiber supplements, which increase the bulk of the stools that pass through the intestines. It is also important to mention that until a proper diagnosis has been given, all clothing that is worn should be as loose as possible. This will help decrease the risk of strangulation of the intestines. And exercise regimens should be temporarily stopped until the doctor says that it is alright to safely resume them. That is because excess physical exertion might increase the size of the tear in the abdominal muscles. 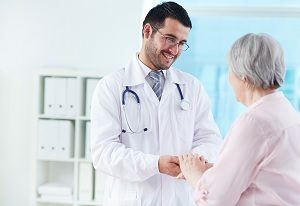 When is Seeing a Doctor Necessary? Often, to save money, people try to ignore their symptoms as long as they can before they go to the doctor. But this is counterproductive to the healing process because it often leads to the worsening of a condition that could have been treated quickly and easily at the start of it. And spigelian hernias are no different. Small tears in the muscle tissue usually require only an hour-long procedure to repair them. And the person can often go home the same day. But if the condition is ignored, it could lead to major surgery instead. Because of this, anyone who is having pain and swelling in an area of their abdomen should head to the emergency room if their regular doctor can’t see them right away. The emergency room staff can do a CT scan or sonogram of the abdomen to see what the problem is. And they will get the results of the tests back faster than a regular physician would from a laboratory that performs them. As you can see, a spigelian hernia is not a condition that should be ignored. While it is rare, a spigelian hernia can happen to anyone. But it occurs most commonly in overweight women or those who have weak abdominal muscles. Sometimes, people who overexert themselves through exercise or heavy lifting can develop this condition too. So strengthening the abdominal muscles is important for preventing it. The first sign that there is a hernia is a pain, which will worsen over time. The pain shouldn’t be ignored because it could be a sign that the intestines are being blocked by stools that can’t pass through. This is usually when the intestines have been strangulated inside the opening of the abdominal wall. Treatment of this condition often starts out with a “wait and see” approach. But then, surgery is always required. And lastly, there are no supplements or holistic medicinal treatments that can cure this condition. In fact, they might even worsen it, especially fiber supplements. So those who suspect that they have a spigelian hernia shouldn’t take anything until they talk to their doctor first. Mucus in Urine – Why it Happens and What To Do About It?